A mixture of NASA employees and Shuttle Program contractors gathered amidst food and music at a "wheels stop" event to catch a view of the space shuttle Atlantis as it was towed back to the Orbiter Processing Facility (OPF) on Thursday, July 21st, 2011, at NASA's Kennedy Space Center in Florida. 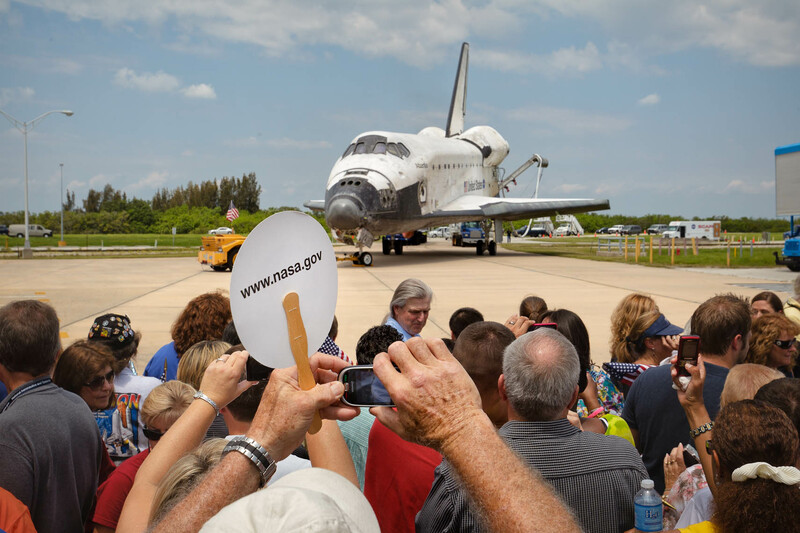 The shuttle landing at the Space Center marked the end of the 30 year Space Shuttle Program, following a 13-day mission to the International Space Station (ISS). The Atlantis orbiter had logged nearly 126 million miles on its 33 flights into Earth orbit.